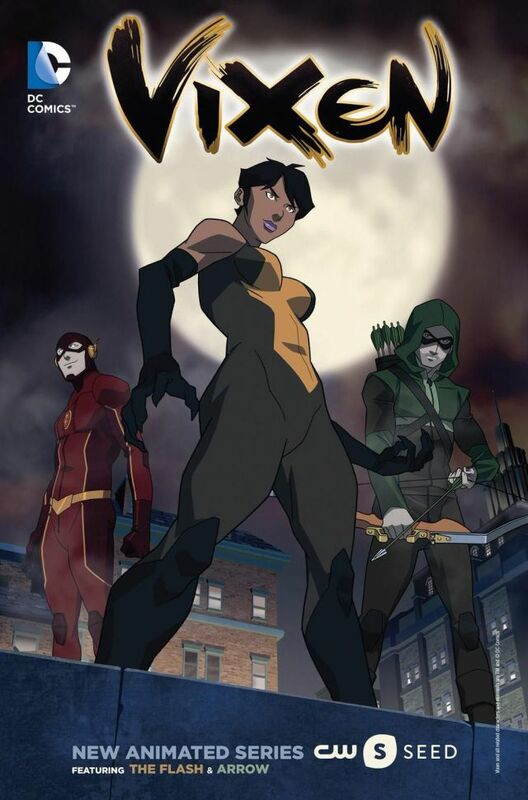 GeekRex | The CW Announces 'Vixen' animated series set in "Arrow-verse"
The CW Announces 'Vixen' animated series set in "Arrow-verse"
The CW, hot on the heels of their announcement that both Arrow and The Flash have been renewed for fourth and second seasons respectively, revealed that DC super-heroine Vixen will be joining the shared universe of both hit series in an animated offering on the online network CW Seed. Arrow showrunner Marc Guggenheim will executive produce the new series that will debut this Fall. Based on the promo art, it looks like we'll see some type of appearance from Oliver Queen and Barry Allen. Does that portend Stephen Amell or Grant Gustin lending their voices? Signs look good, but we'll know more soon. Hopefully this is just a prelude to a live-action Vixen appearance in either series, or her own series proper. A minority actress starring in a superhero show would be a tremendous move for the network in the near future.